In response to the rise of the Industry 4.0 era, FEELER understands that the foundation of this new trend lies in the real-time information, visualization and digitalization. Therefore, since 2011 FEELER officially introduced the FNPS (FEELER New Production System) and this year, to spread awareness on the theme, organized on August 8th at the FEELER Taichung factory the conference “FNPS Result Publication Meeting”. 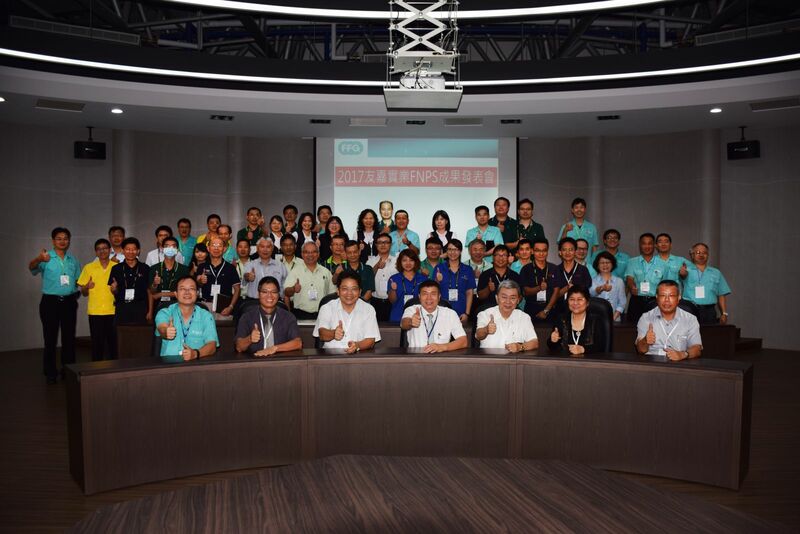 The entire staff of the company, the staff of the Taiwanese “sister” FFG Companies, more than 30 third-party suppliers and other collaborative partners was all invited to participate to a series of activities that included a conference and a factory tour to give an actual illustration of the invested efforts and stunning results achieved on the FNPS project. 2016 was a crucial year in the evolution of the system, having every operating procedure encompassed within a special pattern, pushing the digitalizing of every aspect, combining information and management and creating a smart cloud platform for the interactions with the suppliers so as to establish an effective information channel between the parties. In doing so, it can be said that FEELER took very important step towards the creation of a Smart Factory. It is worth mentioning that if FEELER promoted the FNPS it is mainly due to the initiative of the FAIR FRIEND GROUP (FFG) Chairman Mr. Jimmy Chu, who persevered in establishing a reliable production system together with the General Manager Mr. Lee who supervised every stage of the project from the production to the final sale and after-sale service, despite the fact that each of these aspects presented a very diverse appearance. However good the management was, allowing each unit to join hands and work together, discussing the issues encountered was very important in order to realize a functional and reliable production model that could shorten the processing time. Through information, visualization and digitalization, every unit could mutually cooperate to reduce the error in the transmission of the information. Currently FEELER has implemented its own Industry 4.0 creating a Smart Factory with the support of their self-developed software and now through the FNPS which established a strong foundation to the organization allowing their staff to take advantage of a practical information network when executing their daily tasks. The old online platform was modified, making room for a new large data system consisting of a digital combination of the actual requests and of the resources already within the network, providing all necessary immediate information to each process being carried out whenever requested by the operator. Furthermore, to promote the Industry 4.0 and the Smart Factory, the digitalization, visualization and information network, which are fundamental aspects, will be further developed in the future by FEELER in order to optimize every item of the platform. It is all a matter of time before all the energies and technologies in the group will be more and more integrated in the hope to provide to the customers the highest level of excellence in the products and services.